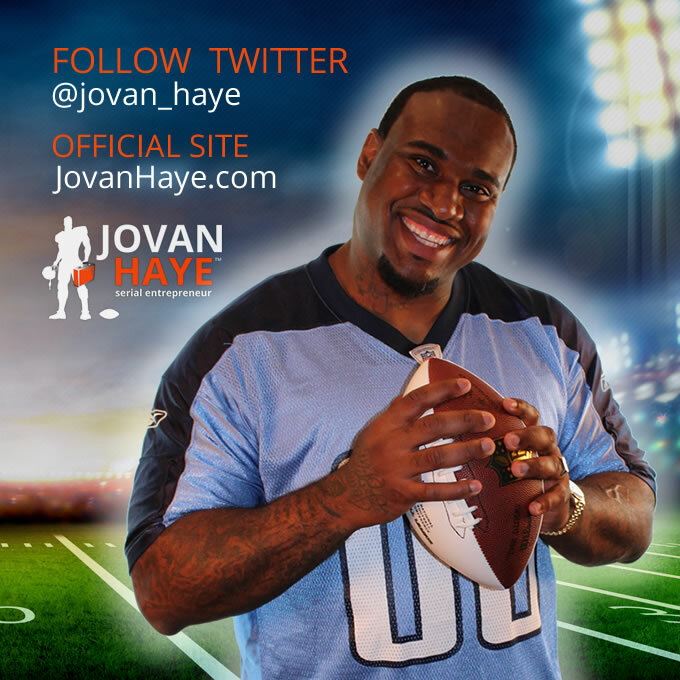 GoHooper.com a Nashville web design company announces new website for former NFL player Jovan Haye. 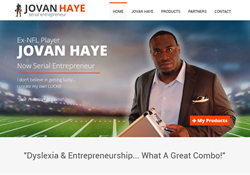 Haye achieved that rare dream, despite overwhelming odds and now as an Ex-NFL player Jovan has turned Entrepreneur. These guys truly do the best work. Just know they're part of my dream team!!!! GoHooper.com announces new website for former NFL player Jovan Haye. The web design company in Nashville takes on many celebrities and athletes and is known for their branding and design ability. Jovan has stated on their Facebook fan page quote: "These guys truly do the best work. Just know they're part of my dream team!!!!" A little more about the former NFL player Jovan Haye that many may not be aware of. According to the NCAA, only 9 in 10,000 high school senior football players eventually play for the National Football League. Jovan Haye achieved that rare dream, despite overwhelming odds. Now as an Ex-NFL player Jovan has turned Serial Entrepreneur. Born in poverty, he immigrated to the U.S., lived in violent low-income neighborhoods, suffered abuse at home, and believed he was “a dumb kid” because of undiagnosed dyslexia and a host of dyslexia-related conditions. Jovan then discovered his gift for athletics. His success in team sports gave him confidence to face other challenges and to overcome his biggest obstacle of all - severe dyslexia. He became an honor roll student, graduated from Vanderbilt and went on to play for seven years in the NFL. Now Jovan Haye is a husband, proud father, and the owner of many successful businesses. He also has authored a book entitled "Bigger Than Me" where he tells how he accessed the power that pushed him forward and allowed him to triumph on and off the playing field.